US Air strikes kill 62 Al-Shabab militants in Somalia – Royal Times of Nigeria. 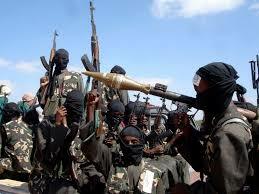 The US military says it has killed sixty-two fighters from the Islamist group al-Shabab in six air strikes in Somalia. Four air strikes at the weekend killed 32 militants and a further two on Sunday killed 28, it said in a statement.